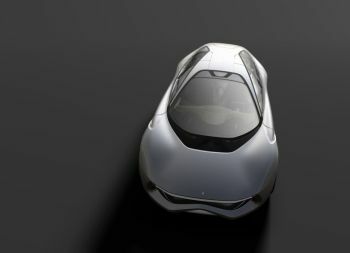 The Pininfarina family underscores the key role played by the lender banks, with whom it is negotiating an agreement to recapitalise the Company and reschedule its indebtedness, and confirms its institutional and professional commitment to the Company. "The Pininfarina family underscores the key role played by the lender banks, with whom it is negotiating an agreement to recapitalise the Company and reschedule its indebtedness, and confirms its institutional and professional commitment to the Company," read a statement issued by Pininfarina in Turin today (November 14, 2008). "Further to the outcome of the Board of Directors of November 12, 2008 and, specifically, the extension of the duration of the Standstill Agreement (moratorium on scheduled principal repayments) and the progress made in negotiating with the lender banks an agreement to recapitalise the Company and reschedule its debt, the Pininfarina family would like to acknowledge the collaborative spirit, support, sense of responsibility and constructive concern for the Company shown by the lender banks in connection with the significant commitments that they are being asked to make to protect the important assets that the Company’s human resources, expertise, creativity and innovation skills represent. The Pininfarina family also wishes to point out that, as a result of the changed scenario caused by the global crisis and, specifically, its impact on the automotive industry, the Company’s financial position deteriorated significantly in recent months, making it necessary to provide it with adequate resources to support the viability and growth of its businesses. "Accordingly, the Pininfarina family, whose only true concern has always been the success of the Company and the future of its employees, reiterates, in full cooperation with the lender banks, its determination to contribute to the Company’s turnaround through its continuing presence and deep professional commitment to protecting the goodwill and brand image of Pininfarina in Italy and the world," the statement concluded.